Police release sketch of suspect who hit 3 people near Mill and Southern last week. TEMPE, AZ — A three-year-old boy and two adults are recovering after being struck in a hit-and-run crash in Tempe last week. According to Tempe police, the incident happened Sunday around 3 p.m. in a neighborhood northeast of Mill and Southern avenues. The victims were struck as they were heading south on a residential street by a vehicle traveling at a high rate of speed, police say. All three were taken to the hospital in stable condition. 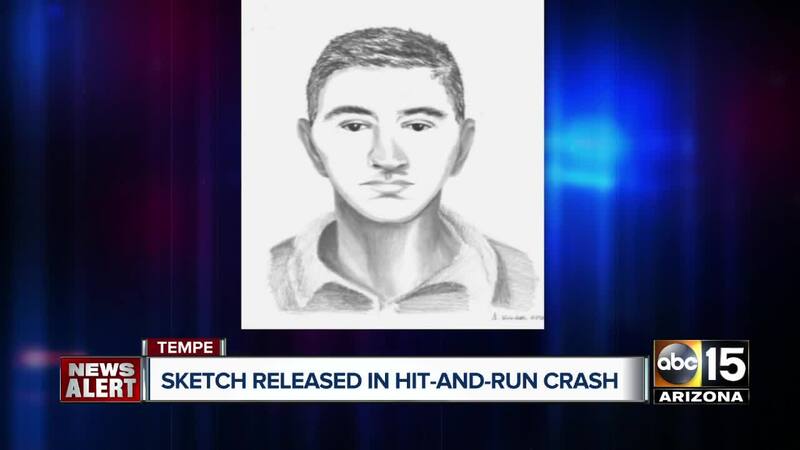 On Wednesday, police released a sketch of the alleged driver, in hopes that the public would be able to help locate him. Police say the suspect's vehicle is described as a white Volkswagen four-door sedan. Anyone with information regarding the suspect and vehicle is asked to contact the Tempe Police Department.